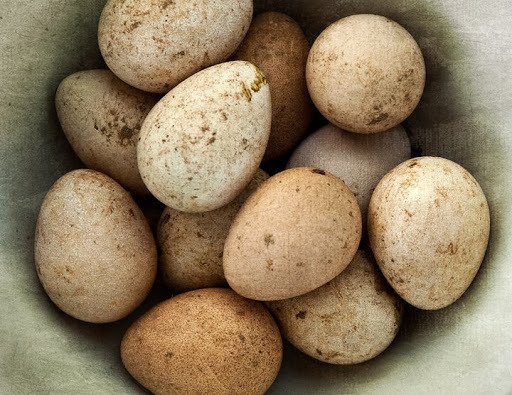 A clutch of guinea eggs fresh off a nest. Guinea eggs are very rich and are very good to eat. The birds, however, like to nest outside in hard to reach places, so finding their eggs can be an adventure. Previous Previous post: On the Road to New Hampshire. The adventure begins.